“Voodoo.” The trademark villain– and the sort-of fairy godmother– both use voodoo. A number of concerned mothers and censoring groups have bristled about them using magic and calling it that. Since 1937’s Snow White, Disney has scarcely produced a musical without some hocus and some pocus. 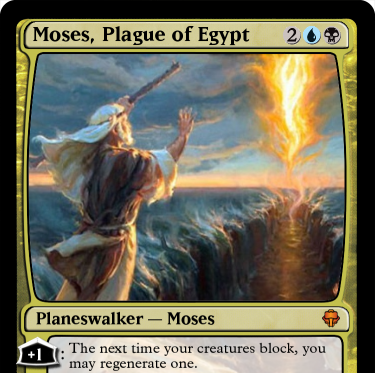 But this did get a little bit obvious what kind of magic it was referencing. Take the villain, for instance. 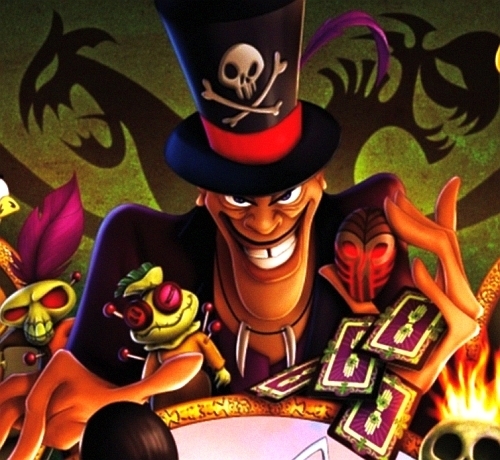 The lanky, swanky Dr. Facilier is a voodoo practitioner whose powers are all lent to him by his “friends on the other side.” He lures the prince and sidekick into his emporium, shows them their life stories in tarot cards and gets them to shake his hand. 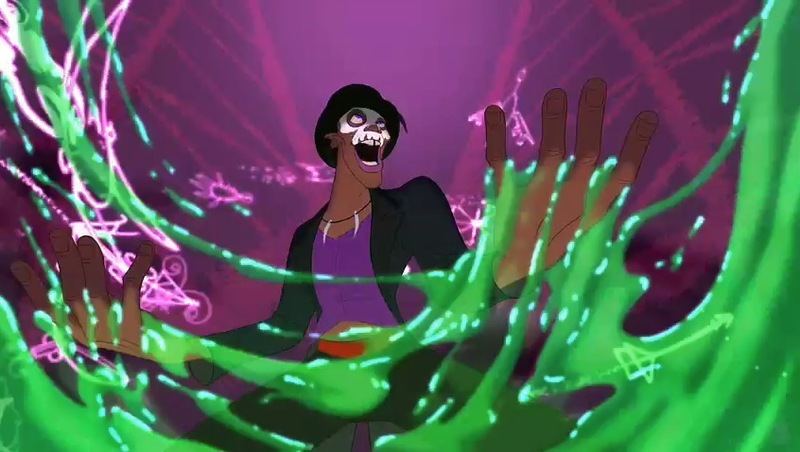 That’s when the imagery really comes out: button-eyed voodoo dolls, baritone-voiced tiki heads and psychedelic smoke-and-mirrors that only Ursula from The Little Mermaid could top. Many a wary parent sees this as too edgy for their own children. About.com’s Movie Review for Parents rated the film High for Scary Scenes, but it merited an Extreme under ‘Disrespectful/Imitative Behavior.’ “Kids may decide to imitate the use of tarot cards, voodoo dolls, and other such items,” it suggests. Dr. Facilier totes an army of pointy-eyed shadows, a mask-shaped necklace that bites the Prince’s finger (pricking it for a drop of blood) to make him a frog, and an endless supply of little skull paraphernalia. Mama Odie is another story. She plays the “179-year-old blind lady” living in a shack in the bayou, with her seeing-eye snake and a host of singing birds. What voodoo does she have in her arsenal? A magic club that blasts the shadows with light. And, oddly enough, a bathtub full of gumbo that shows the future. This, too, is Disney’s un-traditional voodoo. Disney religion has acknowledged every belief system it’s come across as true. Mulan’s ancestors hang around the shrine as ghosts. 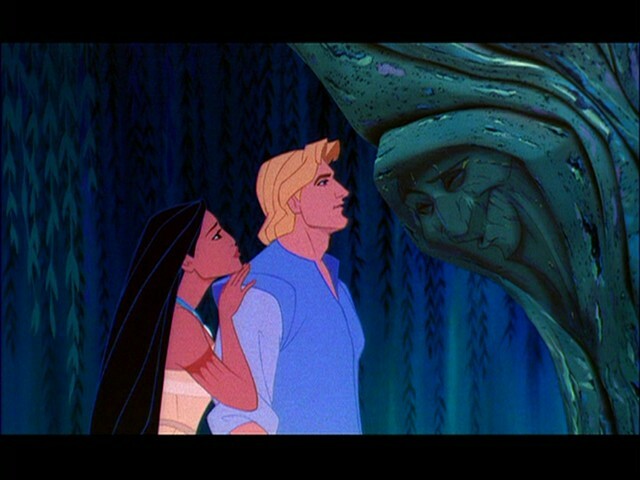 Pocahontas has visions and talks to Grandmother Willow about them. Don’t even bring up how much legitimacy the Greek gods get in Hercules. But perhaps Princess and the Frog using an American folk magic, albeit with sketchy historical accuracy, was what crossed the line. Does the movie teach voodoo? Only if 101 Dalmatians teaches children to skin puppies. Children know a villain when they see one, especially a Disney villain: dark circles around the eyes, wicked grins, hissy fits and all. The one thing kids might be is scared. As I’ve said in some other places, this movie has almost no scary content as pposed to, for example, Sleeping Beauty. Kids now-a-days are becoming less and less able to handle “scary” situations, because parents choose to overprotect them rather than inform them. when I was a kid I got hella scared by Maleficent and her minions, that scene of them in hr castle was truly something scary. But my mum made it clear it was just a movie and in the obviously not possible case anything could harm me she would always be there to protect me. Why can’t parents just drop it and realize movies are just that? Movies, and it’s THE PARENTS’ role to teach and guide their children, not the movies,not tv series, nor the net. If you want to take your child to watch something, you have to make sure the kid understands it’s a movie. even two year olds can understand it, they are not stupid, they are quite smart, and can understand certain things if explained on their level, and that doesn’t mean their innocence is taken away. Plus, kids will survive, believe me, it won’t traumatize them as everyone says. Me and most of my generation were educated that way, and we turned out quite fine. I owe my phobie to the dark to my cousins and uncle, and no movie had anything to do with it, not even Malficent’s castel scene. I think this movie is great. It could’ve been even better than it is, but to be the first afro-american princess, and the first eastern prince, with such a setting, and such a plot, and such characters (Lottie is the stereotype “Princess” girl, and she’s a side character), I think it was a great leap. I highly recomend this movie, and if you are concerned about the imagery, just remember:you’re the adult, kids look at your for guidance, be sure you really give it to them.